Hello everyone, once again its been so long since I have posted anything. Its been a very busy year for our family as it has been for many of you. My mom made it through some health issues and Larry had a few. We are still blessed and counting our blessings. My sister has been here in WA for a couple of weeks now and it has been great. 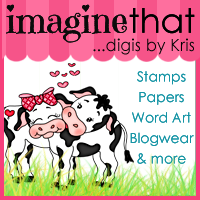 I have done a little crafting and yes still practicing with My Besties stamps and digi files. I hope to soon be able to create some lovely cards to share with family and friends. As most of you know we lost a couple of our fur babies late last year and early this year. Our hearts are still mending. We had a wonderful Christmas, Two of our kids and our grandson Andrew came for a short visit. I guess that's about all for now, I hope to post some projects soon. I made a few cute cards last week and this week, but most of you have already seen them. Take care until next time, be safe, be blessed, and crafting is great medicine ! Hi Jen, thank you so much for visiting, I am so sorry my blog is not working correctly, I am new to blogging and having trouble along the way.